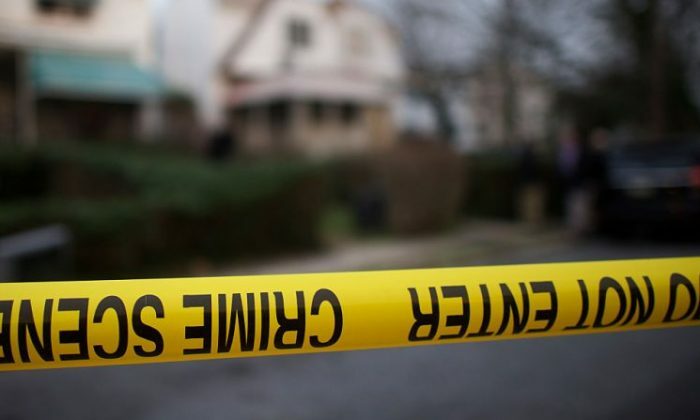 The police found a dead baby, beyond decomposed, fully clothed and wrapped in blankets after a drug raid in San Antonio, Texas, on Tuesday. Bexar County Sherrif Javier Salazar said the baby was found in a trunk, in the closet of a home and that the remains were desiccated or dried up. Salazar also said that it is too early to tell whether the death of the baby was a homicide, My San Antonio reported. The police originally went to the house near the intersection of Bronco Lane and Gunsmoke Drive for a drug raid. They detained 12 people and seized drug paraphernalia, Star-Telegram reported. No charges have been made. Neighbors said that they wanted the police to check out the house because they have always suspected that there was some kind of drug related activity going on. Women would be dropped off at a nearby bus station and transported to and from the house. Janet Geaslin, a neighbor, said she saw two pregnant neighbors who frequently visited the house. One pregnancy ended six months ago and the other ended two years ago. When the neighbors would ask about their children, they would respond with “Oh, he’s gone.” They assumed that they had them at the hospital and just dropped them off because they’ve been telling other people that’s what they’ve been doing, Fox 8 reported. According to the Death Penalty Information Center, a U.S. nonprofit organization with analysis and information concerning capital punishment, 15 states have the death penalty for people that murder children. Out of the 15 states, nine of them require that the victim must be under the age of 12 in order to be eligible for the murderer to receive a death penalty, other states require the victim to be younger than 10, 13, and 14. A person who murders an individual under the age of 10 in Texas is subject to receiving the death penalty.